My Beauty Diary: Happy Birthday Lalaluna! Hello girls~ do you remember my christmas swap partner, ce Josephine from Lalaluna? This month, she celebrate her first blogversary by having a huge giveaway! All you need to do is make a shout out for her blogversary and post it on your blog. The shout out can be anything~ you can do nail art, FOTD, Craft, drawing, or whatever you want to do. For me, because I'm a beauty blogger, I decide to make FOTD and NOTD. I'm quite late to make my entry because I'm very busy lately *sorry*. So, without further ado, these are my entries for the giveaway~ The first one is EOTD. 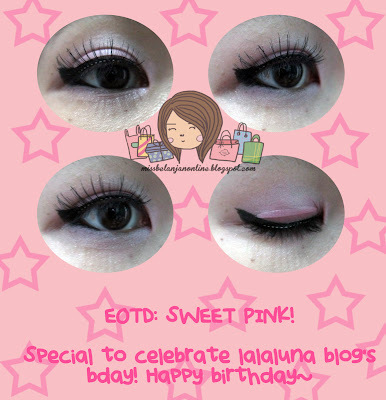 When it comes to birthday party, I always love to use pink color for my make up. So, I decide to make a simple EOTD for this time. 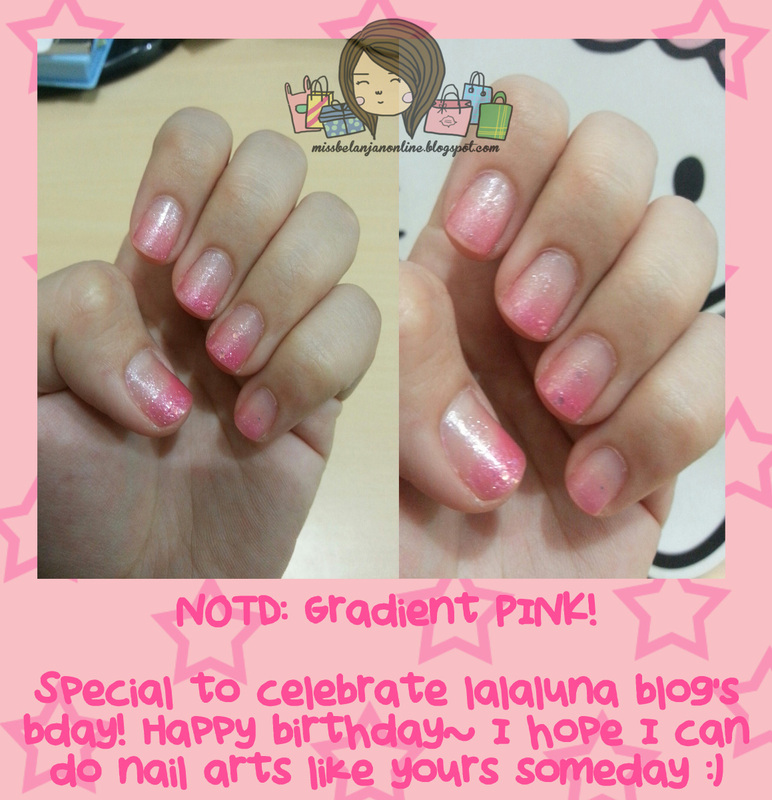 Second~ Show off my Pink Gradient Nails~ matching with my EOTD, isn't it? 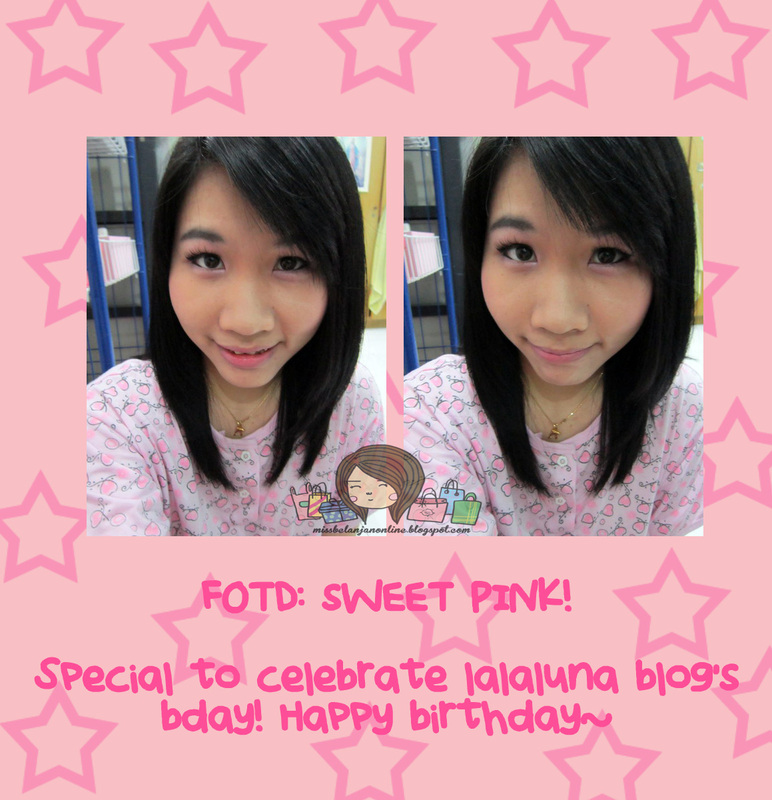 Lastly~ FOTD! Pink eye make up, pink nails, and pink shirt! I'm feeling pink~ lol. Pretty pink sha.. ^^ nice color.. 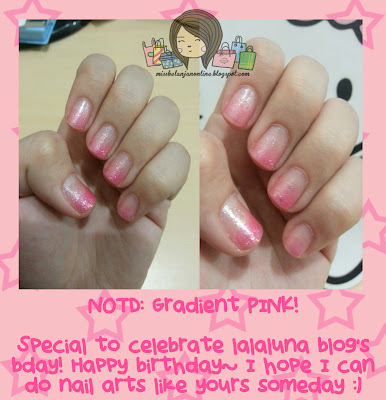 Happy birthday to her ^-^ oh and I really love your nails, so cute and pretty!